It all began 10 years ago when Rebecca, together with her family, moved to Sweden. Being three-quarters Swedish she spent her childhood summers and Christmas holidays in Sweden, staying with her grandparents. Her grandmother would always have some sort of craft on the go, be it embroidery, knitting or weaving rugs. Surrounded by this creativity left its mark on Rebecca and upon her move to Sweden she quickly set about opening a shop in Gothenburg, where she specialised in Swedish antique furniture and objects which she sourced from around the country. Rebecca returned to one of her greatest loves, the Swedish rug. These were more often than not made in the home from remnants of fabric. It was a tradition that was passed down from mother to daughter. 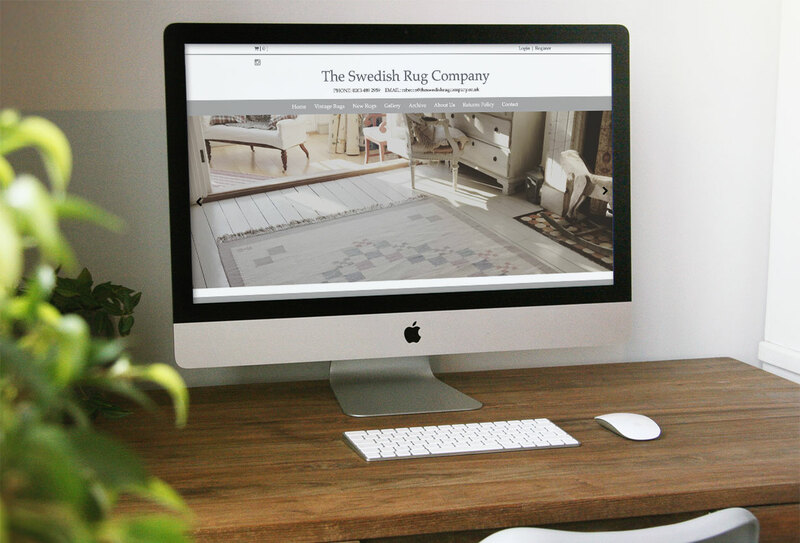 After moving back to London in 2011 with her husband and three children, Rebecca started to sell vintage Swedish rugs. As the demand grew, it developed into a full blown business, not only supplying friends and family but shops too.